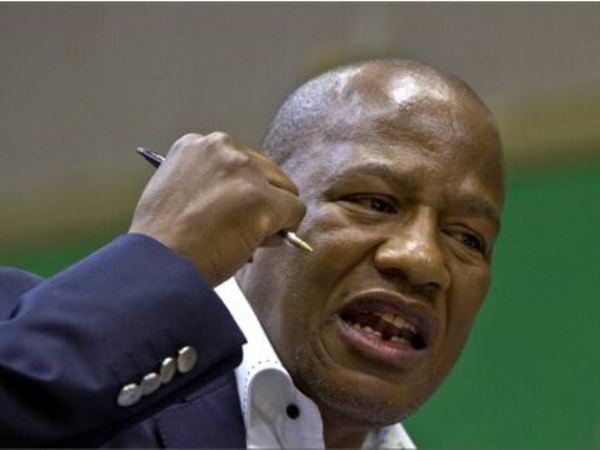 Three people were arrested in Tzaneen and were being questioned over the shooting of ANC MP Jackson Mthembu, Mpumalanga police said on Tuesday. "We cannot say they are linked [to the Mthembu robbery]. We are questioning them as to whether they are linked," Brigadier Selvy Mohlala said. He said the men were arrested in the Limpopo town around 10.30pm on Monday in possession of suspected stolen property including a laptop, cellphones and bank cards. Mthembu was drawing money at an ATM on Mandela Street in Witbank on Sunday evening when he was approached by an armed man who demanded that he draw all his money from his account. Initially there was confusion over where Mthembu was shot. On Monday, Mohlala said Mthembu was shot in the cheek, while the office of the African National Congress Chief Whip said he was shot at close-range in the chest. However, later on Monday evening Kodwa said Mthembu got into a scuffle with the armed robber and a shot was fired. The bullet grazed his cheek and then hit him in the upper shoulder. Mohlala said that after the shot went off the armed man and three accomplices went to Mthembu's car. Four of Mthembu's friends were waiting in the car. They robbed Mthembu and his friends of their money and cellphones. The ANC said Mthembu drove himself to the Emalahleni private hospital. A case of armed robbery was opened. The ruling party said on Monday that Mthembu was in hospital but doing well. "He is in good spirits and he is talking but doctors still want to observe him," African National Congress spokesman Zizi Kodwa said. "He is still in [the] intensive care unit... but it's nothing serious."